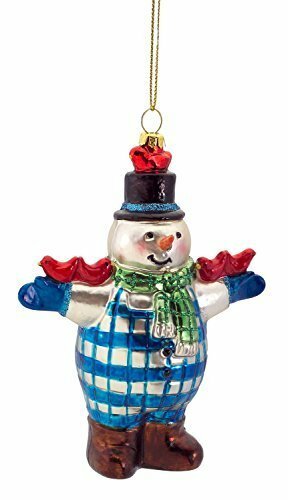 Beautifully crafted of glass Snowman ornament with resting cardinals. Great gift for the holiday Snowman and or bird collector. You will receive one ornaments.